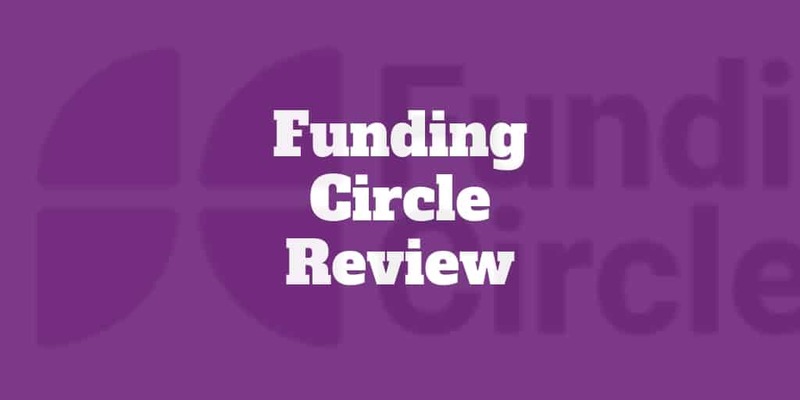 Funding Circle takes financing to a new level by providing a platform in which peers can provide funds to each other. Investors have control over where their money goes and borrowers can find funding efficiently, creating a streamlined financing process. By taking out the middleman, red tape, extra fees, and long waiting periods, the process moves more quickly, and in some cases, funds can be transferred in as few as five days from when an application is officially submitted. When Are Funding Circle Loans A Good Option? Are Funding Circle Business Loans Right For You? Investors looking to diversify from regular stocks and bonds may find attractive investment opportunities at Funding Circle where businesses with good credit seek financing. As a borrower, this can play out in two ways for you. First, you can keep or grow your strong credit profile by pursuing a Funding Circle loan and paying it back on time, or early. Second, if you’re in the beginning stages of entrepreneurship, you can use this loan to build your credit. When you run a small business, you can only do so much with the resources that you have at your disposal. Chances are if you have $10,000 to invest in your business it will go much further for you than $1,000. So, you have the opportunity to expand business operations, invest in better equipment, or hire more employees to help you grow revenue. Funding Circle business loans range from $25,000 to $500,000. You can decide how you spend the money. However, you will need to provide reports to your lenders upon request. This gives you flexibility and control over what happens at your business versus raising money from a venture capital firm for example. Funding Circle borrowers can rest easy knowing that their rights will be protected. The company has created a Borrowers’ Bill of Rights that ensures borrowers and investors are on the same page. Borrowers have the right to transparent pricing and terms, non-abusive products, responsible underwriting, inclusive credit access, and fair collection practices. With these policies clearly laid out, the chances of succumbing to a predatory lender are reduced. As you think about whether you want to pursue a business loan, you have a lot to consider. You’ll need a detailed plan that describes how you’ll use those additional funds to improve your position, and you’ll need to weigh the costs and benefits of each decision you make. Applying for a Funding Circle business loan may be a practical choice to make if a fast turnaround time is important to you. The time it takes for traditional loans to be fully processed can sometimes take many months or even longer, and some organizations just aren’t in a place where they can wait that long. The initial loan application at Funding Circle can be submitted in under 10 minutes. After that, a personal loan specialist will look over your documents and contact you within the hour. An underwriter will then step in and give you some options. In some cases, this could be the very next day. You’re free to accept a loan or walk away. If you do accept financing, you can receive your funds within a matter of days. The competitive rates at Funding Circle can make funds more accessible to small businesses. If you don’t have that much capital in reserve, it may otherwise be difficult to secure a loan with low rates. Because the marketplace is opened up through Funding Circle, the rates that you can see could potentially be driven down through competition and transparency. The company prides itself on its straightforward approach to lending. Origination fees could vary between 0.99% and 6.99%. This is a one-time fee you’re asked to pay to cover the startup costs of producing your loan. The amount varies from borrower to borrower and is related to your credit profile. You’re only responsible for paying that origination fee (through a deduction from your total loan proceeds) if you end up receiving funds. Late payment fees of 5% applies when payments are missed. This amount is withdrawn directly from your account and sent to your investors. This would only occur if your monthly payment is not sent on time. Other than those fees, there are no other costs. Notably, there is no prepayment fee, so you can repay the entirety of your loan without penalty. Interest rates are fixed, making it easier to plan out your budget each month. Terms are anywhere between 6 months and 5 years. Within each of those terms, the interest rate could vary depending on your credit profile. For example, a six-month loan could have an interest rate of 4.99%, 23.74%, or anywhere in between. A five-year loan could have an interest rate of 8.5%, 27.79%, or any rate in between the two. Not just anyone can receive a small business loan through Funding Circle. There are requirements in place to make sure that investors are protected and that the site as a whole can remain profitable. (2) You have a credit score of at least 620. No annual revenue minimums are stipulated. That being said, your terms will be quite different if your business is 2 years old, you have minimal profit, and your credit score is in the low 600s versus if you own an established business, have a high annual revenue, and your credit score is top notch. Fast Processing Time: In less than a week, you could see money in your bank account, even after having completed relatively little in terms of paperwork. For many businesses, it’s hard to predict the business outlook in six months, so having this immediate response to a loan application can be a major advantage. Competitive fixed rates make this type of lending more affordable. Saving money each month on interest can help a small business do more. While Funding Circle bypasses the traditional process of going through a brick-and-mortar bank, it also takes strong measures to protect lenders and investors alike. It’s not the lenders who are setting their rates but Funding Circle, which has a strong motivation to keep both borrowers and lenders happy. No Prepayment Penalty: Should you be able to pay off your loan early, you can certainly do so. Because there are no prepayment penalties, you don’t have to worry about being hit with hidden fees when making extra payments. Cons: Funding Circle is not ideal for everyone. Established businesses are typically favored, and it can be harder for relatively new entrepreneurs to find an affordable peer-to-peer loan. If you don’t have the required minimum credit score, there is not much that you can do since those prerequisites have already been set in place. Furthermore, the speed at which Funding Circle works is impressive but not at an industry-leading level. If you need immediate cash, other lenders may serve you better. If you like the idea of peer-to-peer funding but want to explore other avenues before making a final decision, you do have some options. Kabbage, SmartBiz, and OnDeck are worth considering. Kabbage is one of those sources of loans that can give you funds immediately. Once you enter your information and submit your financial data, which you can do through a mobile app, you can get a decision that day regarding how much capital you can access. You can start using that money right away or ask for more money as needed. Loans of up to $250,000 are provided to qualified applicants. SmartBiz provides loans between $30,000 and $5,000,000. This would be a good choice if you’re looking for larger sums of money with longer repayment terms as their terms usually last between 10 and 25 years. Their rates are start at 6.75%, so you’d have to compare them with the rates that you receive from Funding Circle after you input your credit profile. Importantly, SmartBiz funds are sent out to borrowers in as fast as one week. On SmartBiz, those who don’t qualify for SBA loans can potentially qualify for non-SBA options. OnDeck has two options from which to choose. You can either apply for a line of credit or a term loan. Lines of credit up to $100,000 are available, and those rates start at 13.99% APR. Term loans are provided up to $500,000, and their interest rates start at 9.99% APR. You can compare these numbers with rate offers from other lenders. Just remember to take the turnaround time into consideration. OnDeck typically makes decisions in minutes after you put in an application, and once you sign your contract, you could see money in your account within 24 hours. What Funding Circle brings to the table is a simple way of accessing an alternative financing source. By connecting borrowers and lenders, the company creates a win-win. Borrowers can avoid the time consuming process of loan applications at traditional banks while lenders enjoy reasonable returns on capital. The online application times are fast. You can be done in less than 10 minutes. And the funds that you can receive are significant, starting at $25,000 and going up to half a million dollars. Plus, you could see that money in as few as five days. One drawback, though, is if that five days is not fast enough for your situation, you’ll need to look elsewhere for assistance.